Translation work often consists of CVs and résumés, correspondence -business related or personal information. I am familiar with a wide range of technical and business terminology in both English and Spanish. from £45 per 1000 words. Spanish/ English interpreting that work consecutively, face to face situations… commercial meetings, seminar, lectures, live press conferences, etc. Also, personal or family affairs –i.e. property abroad, wills, notary, legal auxiliary assistance, correspondence, etc. Seminars or Business Presentations in “real time”. Typically I will be backing you up personal, unobtrusive and discreetly. Relaying your translations of a speech in parallel…a much more demanding field. Please, feel free to contacting me for a tailored estimate ! "When I made mistakes you didn't interrupt me every time, you let me go to the end of my sentence. Only, if I was making a BIG mistake, you interrupted me! When I lost a word, you were calmly waiting; giving me time to think... and then you gave some 'hints'... "
"I am currently studying for my degree in Modern Languages, including the Diploma in Spanish, with the Open University. I realised I needed to devote more time to my academic conversational level in order to get a good grade in my oral exam. 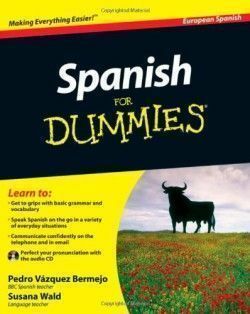 I must say that taking classes with Pedro has definitely increased by confidence in Spanish, enriched my vocabulary and enormously helped with my pronunciation. Gracias Pedro." "I found Pedro very attentive to my individual needs, something which is not very common at small classes. I liked his customized and confident one-to-one approach, as my progress has been faster than it would have been in a class with other non-native speakers"